See the steps below for screenshots of the process. 1. 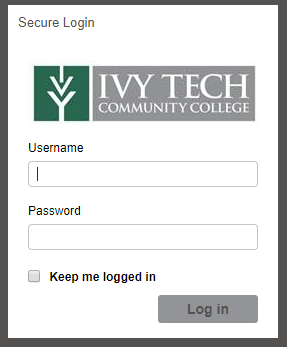 Go to the Pharos Print Center and login with your MyIvy username and password. 2. 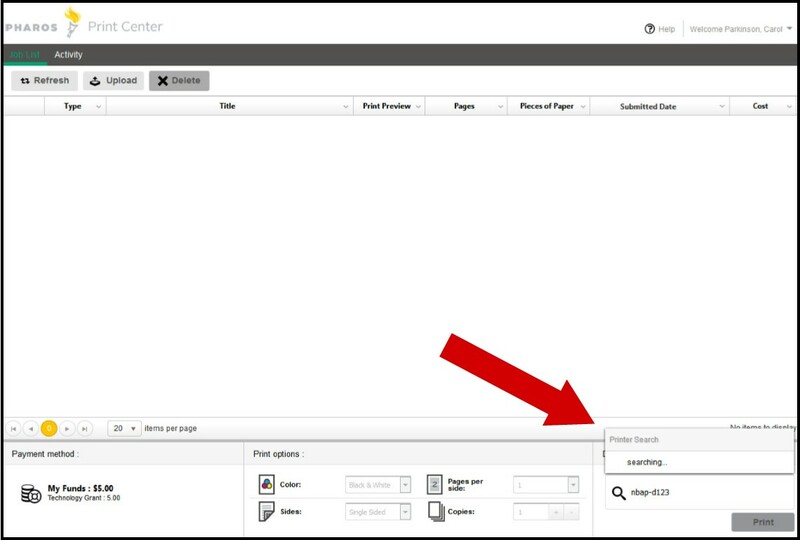 Search for and select the correct library printer in the lower right corner. Alternative: You can also choose not to select a specific printer. 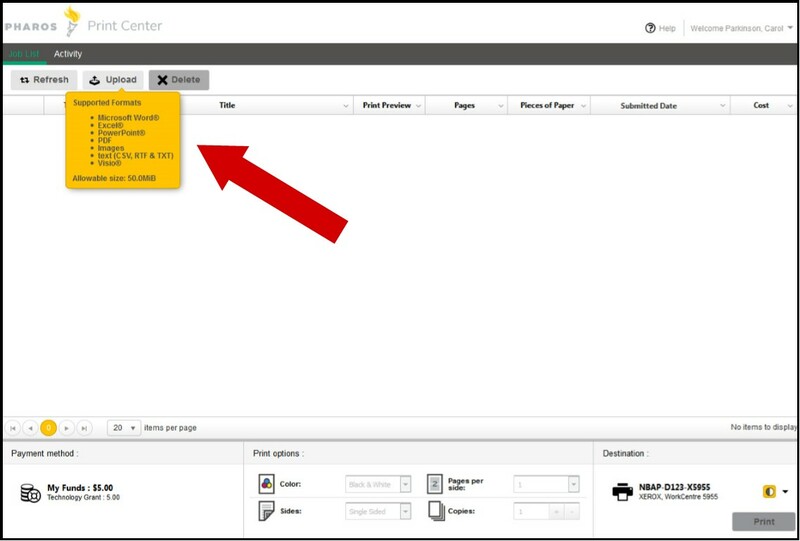 After uploading your document (step 3), you can log-off and find the print job listed on your personal print queue at any printer. You'll just have to log in at the printer (using MyIvy username and password), find the print job, and release it for printing. 3. 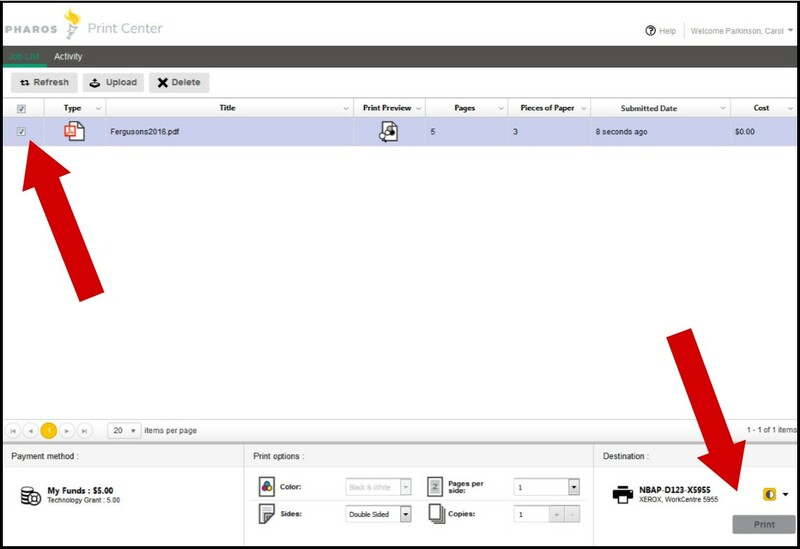 Upload Word, pdf, and other document formats to the Print Center. 4. After your file(s) have uploaded, select the file(s) to print by checking the box(es) in the left column. Then click on the Print button in the lower right corner. 5. Click "Confirm" to accept the charges and release your print job. Pick up your documents at the Xerox printer/copy machine you selected. 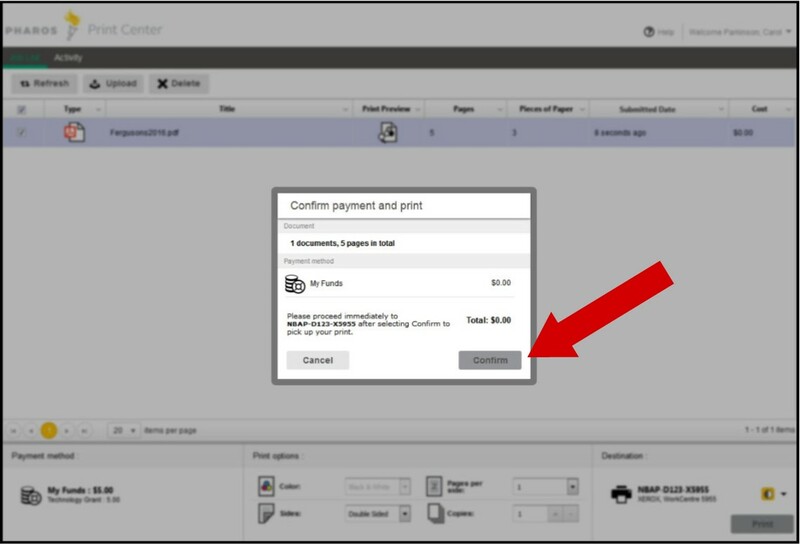 Note: If you need to add funds to your Pharos printing account, the link "Add funds to Pharos Account" is at the bottom of the Pharos Print Center webpage.